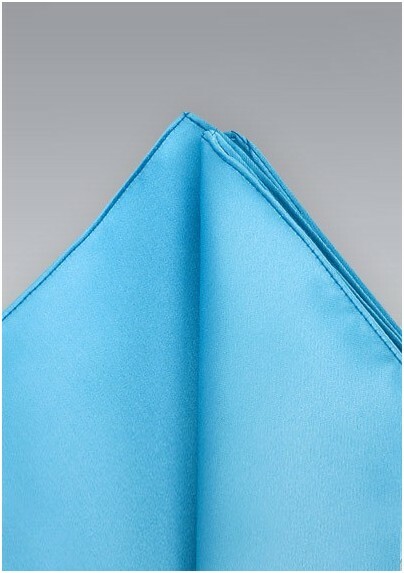 Add bright color to your summer suit with this pool blue pocket square. The fine satin silk gives off a turquoise shimmer that resembles the Emerald sea. We at Mens-Ties.com also offer the exact matching pool blue bow tie. 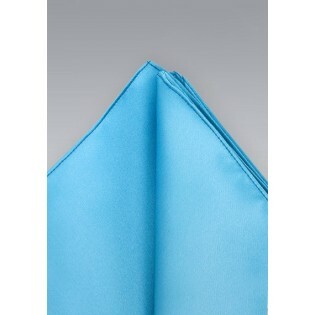 This pocket square looks best when worn with a darker contrasting suit. The best suit colors, in our opinion, are gray and charcoal. Handmade from microfiber.